Between 2016 and 2026, the Bureau of Labor Statistics expects the growth rate for medical assistant careers to reach an astonishing 29%. Still, even as the number of jobs is forecasted to increase, you’ll still need to compete for entry-level positions. If you’re looking to stand out amongst a pool of qualified candidates, it’s vital that you acquire these additional medical assistant skills. In most cases, the roles of medical assistants are limited to tasks given by physicians and nurses. However, medical assistants may need to perform CPR in emergencies. That’s why cardiopulmonary resuscitation (CPR) certification is typically mandatory for those in the medical assisting field. In some instances, basic life support (BLS) certification may also be necessary. Considered a higher level of medical care than CPR, BLS is administered on victims facing life-threatening illnesses and injuries, such as cardiac arrest, choking and drowning, until they can be given full medical care at a hospital. Typically, a BLS certification will fulfill the CPR requirement, too. In addition to CPR, medical assistants should undergo first aid training. These classes give you the information and skills needed to assist both children and adults during emergency situations. It could mean the difference between life and death for someone as they wait for medical professionals to arrive on scene. 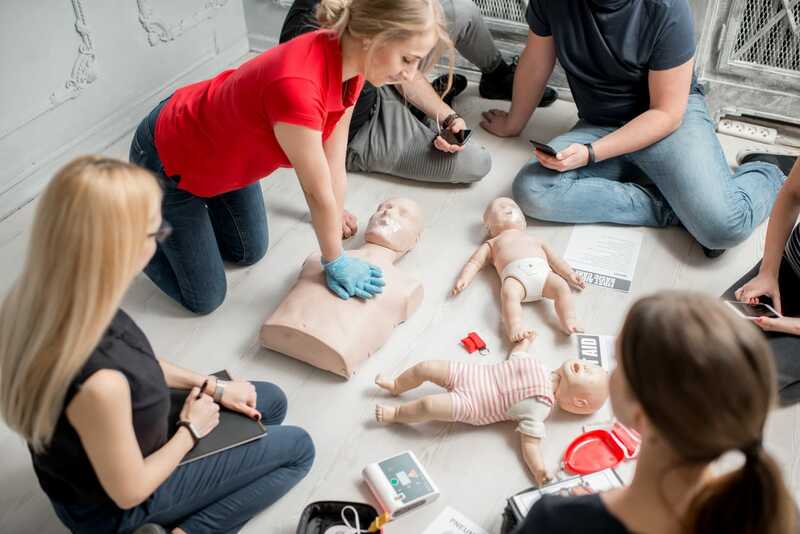 Beyond CPR and first aid, medical assistants will need to know how to administer drugs and immunizations, draw blood, apply dressings and remove sutures, as well as sterilization techniques and even basic EKG techniques. They also need to follow infection control and safety guidelines every day on the job. Interested in becoming a medical assistant? Apply online for the Medical Assistant diploma program at Prism Career Institute today. Not only will you develop the knowledge needed to succeed in a medical assisting career, you’ll also receive specialized, hands-on experience by participating in a clinical externship. Call an admissions advisor at 1-888-966-8146 to learn more about the program or ask any questions you may have.